October is finally here, and our office is super excited! Not only for the pumpkin flavored treats, but because it’s National Physical Therapy Month, and we’re pumped to show you why we’re passionate about what we do. As physical therapists, we get to help people of all age groups get back to the activities they love. Whether that’s gardening, running, playing sports, or simply living pain free. The transformative powers of PT are endless and can help anyone – no matter their age or situation. Our physical therapists are highly trained physicians that understand the human body and create ways to help it recover from injuries. We believe each patient’s story is different, so their treatment plans should be too. That’s why taking the time to truly understand your unique situation and goals is so important to us. Whatever setbacks you’re facing, we can create a plan to help you overcome them, and we’ll be cheering you on the whole way. 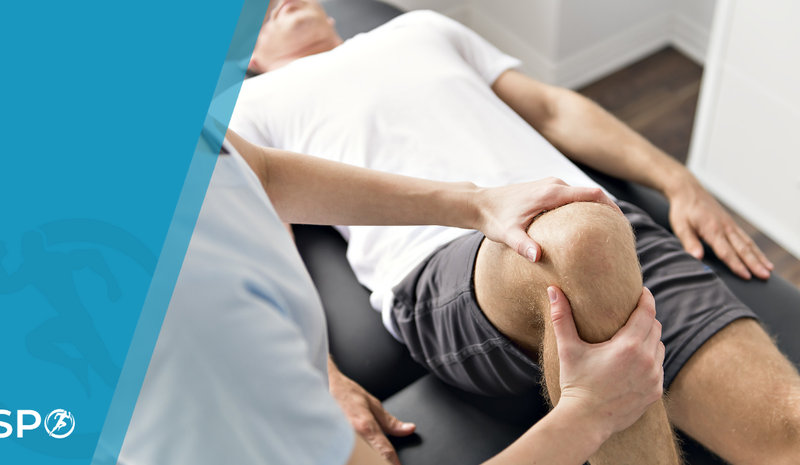 Our PT services include resistance exercises, stretches, hands-on manual therapy, and many other specialized modalities depending on your unique needs. I am able to aid patients by enhancing their overall quality of life through decreasing pain, improving their movement capabilities, and providing them tools to thrive in their daily lives. How have your grown in this position? I believe that I am constantly striving to self-assess my performance and researching more about patient conditions to ensure I am doing all I can to improve movement abilities in patients. Overall, I am learning TONS just by doing the one thing I love. I look forward to continue learning from my patients and get into more continued education classes to apply to each of the patients I encounter in my career. My goal is to gain more manual therapy skills, vestibular rehab experiences, and incorporate dry needling into my practice. Provide physical therapy to any patient that walks through the door. Any age of patients. We help individuals get back to their level of function without pain. Watching people get better and to a level where they can go back to doing what they want and love to do. How have you grown in this position? I am better able to treat patients as a whole instead of just as an injury. How has this position impacted your life? I provide therapy to improve patients strength, range of motion, body control, and dynamic mobility to return patients to sports, everyday activities, and back to their prior levels of function. I enjoy building relationships and networking with my patients. I never know when I will make a connection with someone and connect with them more personally to build trust. I like sharing life experiences and developing real relationships. I have been able to expand my thinking and treatment techniques in the last year with more continuing education courses. I will continue to attend continuing education courses and expand my knowledge and skill set to provide the best treatment to my patients that I can. Being a physical therapy has opened my eyes to appreciate the little things that I do every day that most people take for granted. I have become aware of the different methods needed to complete basic everyday tasks and have a good understanding of the time it takes to regain lost motion and strength. I am looking forward to more educational opportunities and building more relationships with my patients. I want to give them the best care and experience possible and have them tell their friends and family to come see us for therapy. Whether you’re new to physical therapy or you’ve experienced PT before, we’d love to meet you and get you back to moving pain free. Contact Stevens Point Orthopedics (formerly Klasinski Clinic) or stop in today to set up an appointment.